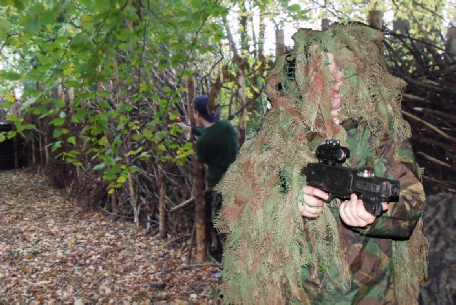 Wye Valley Warfare has its own purpose built Battleground in Symonds Yat West. The design is inspired by real Close Quarter Battle ranges used to train the SAS, but it’s no more military than javelin or fencing. It’s high-energy tactical fun and a real team-builder. Our LASER OPS games are physically and mentally challenging and highly competitive, so players must be at least 8 years old. It makes an ideal active social event for Scouts, Guides, Cadet Corps and sports teams. 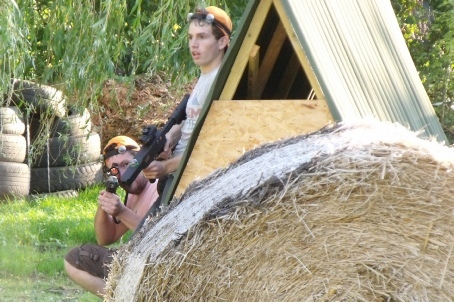 The sport is like paintball or airsoft, but without the pain, the paint, or the cost of the balls. A session last two hours during which you’ll play about 8 to 10 games, all with a Special Operations twist. You’ll need 10 players for an exclusive session, and our upper limit is 24 players. The cost is £20 per player. Players must be at least 8 years old.